How do I know if a plant needs to be repotted? Planting Baskets- Larger than your existing baskets that you are replacing unless you are splitting your plants at the same time. 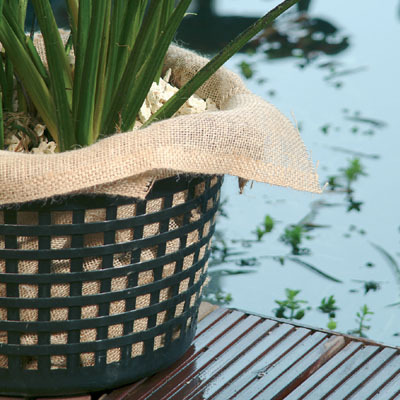 Basket Liners/ Hessian Liners- If you would like to line your baskets to stop small amounds of soil spilling into the pond. 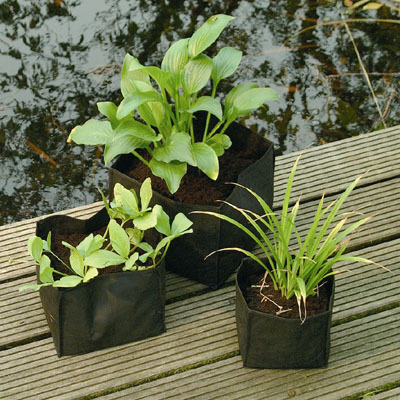 Fertiliser Sticks or Balls- an ideal opportunity to add fertilizer to you plant baskets while they are out of the water. You may wish to add a little pond water with a watering can during each of the following steps to keep your plant moist. Line your chosen basket with a hessian square or lining squares if desired. Fill your planting basket to approximately one third full with aquatic soil and then add fertilizer. 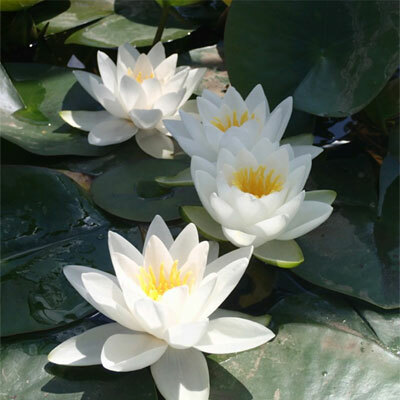 Wash any soil from the long roots (rhizomes) of the lily bulb (as above ensure you do not contaminate your pond with tap water if keeping fish). From the centre to the side of the pot, dig a slight trench. Lay the bulb in this trench with the root pointing towards the centre of the pot. Fill the remainder of the plant basket with aquatic soil but leave an inch from the top so that a layer of aquatic gravel can be added on top of the soil surface. 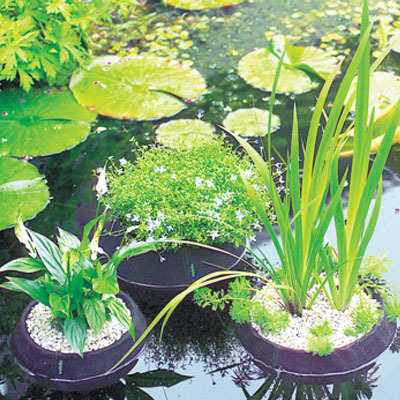 As always if you have any further questions or need some advice on any of our pond planting equipment then please contact us.